One of the best ways to explore the Cotswolds is by Private Car Hire taking advantage of the intimate knowledge of the driver to give you the best touring experience available. 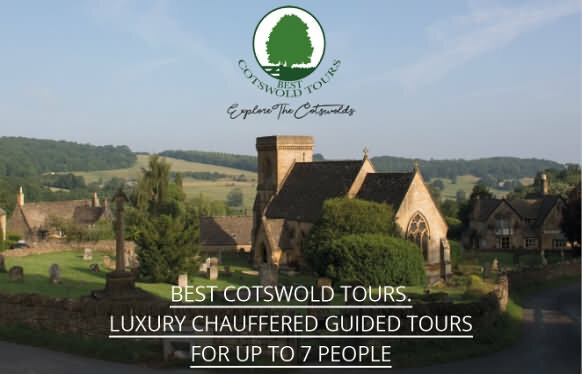 The Cotswold region is full of hidden charm and idiosyncrasy that only an experienced and knowledgeable driver will be able to deliver the best tour experience to give you those unforgettable memories of this truly remarkable region of the UK where time has stood still for 300 years. You will be collected from your hotel and shown a wealth of beautiful sights in this very special part of England, in comfort and at your own pace. 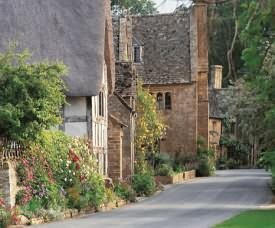 To see ancient villages, medieval churches, Manor houses, wonderful gardens and the enchanting Cotswold countryside. You will then return you to your Hotel at the end of the tour. You will not be part of a group with set times frames and routes. You can also be collected from your airport/seaport/train station, have tour itineraries tailor made, your accommodation arranged and be returned at the end of your stay in the Cotswolds. A Cotswolds Packaged Tour by coach or mini-bus is a wonderful way of having companionship and sharing your tour holiday with others. The Cotswolds area is large, taking in parts of six English Counties, and stuffed full of glorious gardens, stately homes and castles, and 'chocolate box' villages around every corner. We recommend at least a minimum of a three day tour but you could easily spend two weeks and more savouring this unique region. 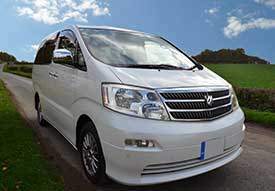 Below we recommend the Driver Guided Touring Companies that will offer you Chauffeur Driven Car Hire services to give you a relaxing and rewarding holiday vacation. Most of the companies listed also provide similar services for Cotswold weddings, events and business or just airport collections. CJP Cotswold Tours was first established in 2002 and is a family-run business owned and operated by Chris and Ruth, who are married with two daughters. We provide private cultural and sightseeing tours of the Cotswolds and other areas of the UK. Our private driver guided tours give you the freedom to discover the beauty and charm of the region, whilst enjoying the view from the comfort of our 4 and 7 passenger vehicles. Leave the planning and driving to us, giving you more time to take in your surroundings and explore places you wouldn’t have otherwise seen. Throughout the day, your dedicated guide will share facts and other information about places as you pass through them, giving you an insight into historic and daily life in the Cotswolds. Your tour will not be at all rushed, so you’ll be able to relax and still have time to stop for those important 'photo opportunities', perhaps taking a stroll around some of the beautiful locations that we visit. You’ll also have an chance to take short walks around some of the towns and villages and stop off at a local 17th or 18th Century inn, restaurant or delicatessen for lunch. Know somewhere you’d like to visit? Ask about our Bespoke Tours. Every tour is individually designed to ensure we visit the attractions that you would like to see. We are not restricted to the Cotswold region, so just let us know where you would like to go. We’ll work with you to build an exciting itinerary for you. Why Choose CJP Cotswold Tours? We’ve lived in the Cotswolds for 45+ years. Experienced guides; established in 2002. Our tours are tailored to your interests. Fully-licensed by Cotswold District Council. We support and work with local businesses. enthuse you in his passion for the area! The Cotswolds are a scenic area with gorgeous villages, picturesque market towns. Wonderful vistas, quiet woodland, bird song, open meadows, babbling brooks, stone houses, thatched cottages.....the list is endless. Smell it, hear it, see it and feel it…..this is the real England outside of London! I’ll tailor the tour to your particular interests be they antiques shopping, formal gardens, manor houses, photography, countryside walks or just leave it to me and I’ll show what I consider to be the best sights to see. And we can punctuate the day with coffee stops, a pub lunch and / or cream tea, if you wish! 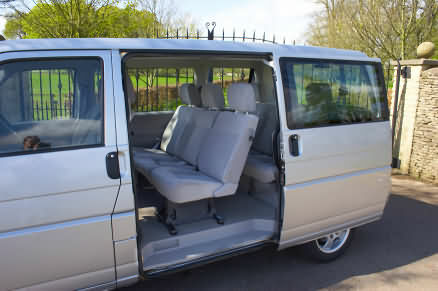 We can offer both day tours and extended tours of the Cotswolds and the wider area in a comfortable Van with eight seats. Check my website or call / email for more information. My name is Ken Fowler and I was born and educated in the Cotswolds in the heart of England. I am passionate about my heritage and love to share it with visitors and friends. My family go back hundreds of years in this part of the world. 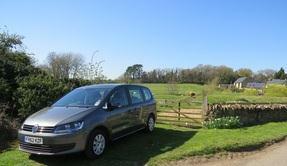 VW Sharan for small groups of up to six adults. I also offer longer tours of the United Kingdom. All my personal tours allow you to create an itinerary to meet your individual wishes. You can therefore stop whenever and wherever you wish, move on when you are ready, and dwell a little longer perhaps if something particularly interests you. I am completely flexible and will be there to act as your guide and friend. I offer an exclusive and personal service for discerning customers who are looking for a special experience. My tours are designed around your particular interests and I will of course advise you how to ensure you get a real flavour of the Cotswolds. Tours are therefore entirely personal to you and no two tours are ever the same. Tours can be for single days or for longer periods. 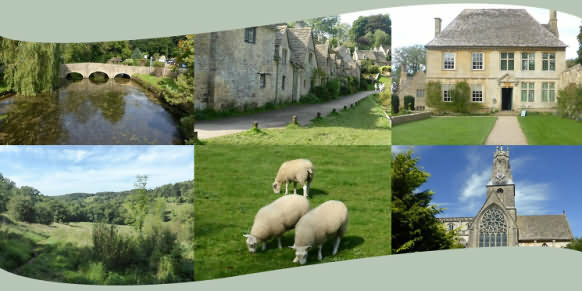 Half day tours of the Cotswolds last approximately 6 hours. The exact start and finish times will be agreed to suit your needs. Short notice enquiries are always welcome. Half day tours operate during winter months only. I also offer longer tours of the UK. As an example recent longer tours have included the Cotswolds, Oxford, the Lake District, York, the Yorkshire Dales, Devon and Cornwall. However, all parts of the UK can be included. Tours are specifically designed around your particular interests and I will of course work with you to create an itinerary which meets your needs. the testimonials tab of my website. 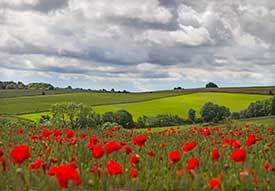 Rob Little has three competing passions; photography, motorcycling and the Cotswolds! Coming in a close fourth is to be able to share his love and knowledge of the area where he indulges those passions, with visitors. 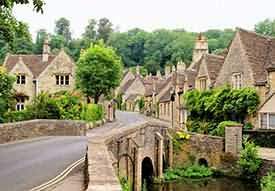 A tour with Rob will give you a taste for the beautiful Cotswold hills - rolling green countryside broken only by lines of “dry stone” stone walls, quaint villages, stone houses, thatched cottages, country homes, formal gardens and narrow winding roads - the "real" England outside of London. 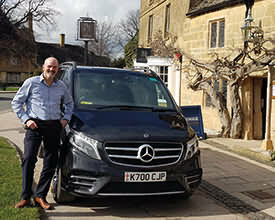 Although Rob’s private tours extend across the United Kingdom and Western Europe, his home is in Tetbury, “Gateway to the Southern Cotswolds”. Tetbury is renowned for being the town close to Prince Charles’ home at Highgrove and is famous for its High Street full of antiques stores. Travel is supremely comfortable in a large luxury fully air-conditioned Van with leather seats and privacy glass - elevated so you can see over the hedges and walls! Tours are designed for each Customer based on their individual wishes and dreams – ancient churches, gentle countryside walks, photography, castles, Shakespeare’s country, formal gardens, country pubs – even Harry Potter film sets! You can be assured your tour will be delightfully memorable and filled with historical insight and lots of local colour. Your group can be collected and dropped off at the airport, your hotel, a seaport or at a railway station. Cotswolds Adventures specialise in Tailor-Made Private tours of the Cotswolds whereby a group of up to 8 customers can enjoy their places of interest in the Cotswolds, at their own pace, in the luxury of a chauffeur-driven vehicle with a knowledgeable guide. You are free to follow one of our suggested routes or we can create your own tailor-made Cotswolds Adventure. Anything is possible, just ask! Tours can be taken individually or booked as a package include accommodation, transfers etc. 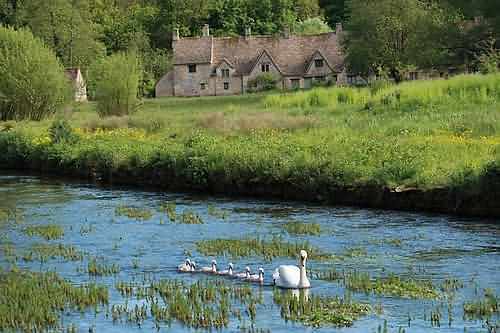 Our Cotswolds Private Tours are the perfect way to enjoy the Cotswolds with your family and friends. 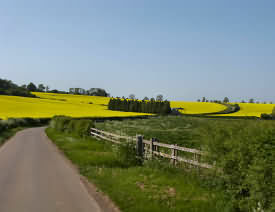 Avoid the crowded bus tours, inconvenient public transport and experience the real beauty of the Cotswolds countryside. We use quality vehicles with a local driver-guide who knows the area intimately and this allows us to get off-the-beaten-track and see the places the other tours cannot go to. All our private tours of the Cotswolds are fully bespoke and the itineraries can be adjusted to suit your own individual needs. You may want to visit specific villages, take a hike in the countryside, enjoy afternoon tea in a manor house or a spot of horse riding. We will endeavour to create your perfect day out in the Cotswolds. 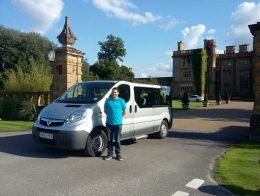 All tours include pick up and drop at your hotel in the area or a local train station for those coming in from London. Pick ups outside the area also available at an extra charge. Just get in touch with your requirements. 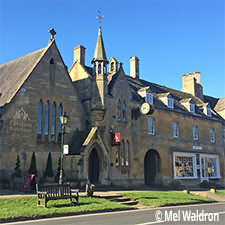 ‘Classic’ North Cotswolds Tour- Chipping Campden, Snowshill, Broadway Tower and village, The Slaughters, Stow-on-the-Wold, Bourton-on-the-Water. 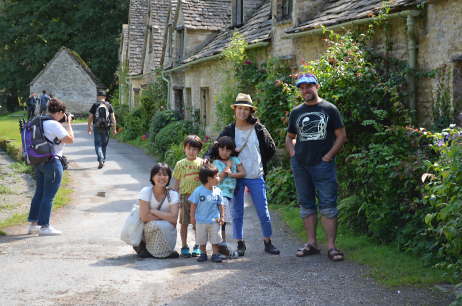 ‘Quieter’ South Cotswolds Tour- Bibury, Lacock, Castle Combe, Terbury, Cirencester, Malmesbury. Secret Villages Tour- see the hidden off-the-beaten track spots and avoid the crowds. If you only have one day in the Cotswolds then this is the tour for you! Starting at your location of choice in the Cotswolds we focus on the North Cotswolds as this is where many of the most famous and beautiful villages and towns are. Driving through stunning countryside and using quiet country lanes you will visit or pass through a dozen or so quaint Cotswold villages, with options to visit a Manor House, an English Garden or maybe take a short hike in the countryside. All the major spots are easily covered in one day with plenty of time for getting out of the car off and enjoying the scenery and atmosphere. 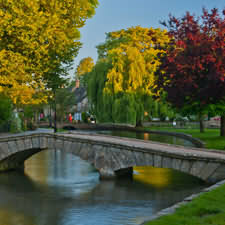 My name is Ian Henry and I have lived in the beautiful Cotswolds for over 20 years. I do have suggested Cotswold Tour Itineraries on my website, however most of my tours are tailored tours based on guests’ interests. Wherever possible I will take you to places off the beaten track. My personal tours allow you to stop wherever you want and you are then able to linger a while longer if something is of particular interest. I invite you to read the complimentary guest reviews on Trip Advisor and Google to see what to expect. Full Day Tours (7 hours )are available throughout the year. My private tours are usually for up to six guests , however please enquire for larger groups. Should you require collection / return to a location outside the Cotswolds area then a charge for transportation will apply. If you’re travelling in the UK, then coming to the beautiful Cotswolds is a must. Recognised as an area of outstanding natural beauty, we can take you to some of the most picture-perfect villages and locations the Cotswolds has to offer. A one day tailored tour to your specific interests can start from £320* for up to four people or from £480* for up to six people. We’ve designed five different tours that cover different locations and preferences that you might have. 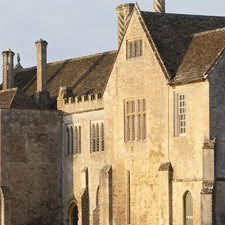 The Film Location Tour – Curious to see the stunning locations of Wolf Hall or Pride & Prejudice? Then this could be for you. We are very flexible. If you have your own places that you want to visit then just tell us. We can tailor a tour to suit your needs and make it happen for you. Just go to our enquiry page and tell us what you would like to see. Our concierge services are designed to take the strain out of planning your stay. Whether you are visiting for just one day or want to spend more time discovering this beautiful county we can make all necessary arrangements for you. Everything from lunch stops to overnight accommodation can be booked on your behalf. Whether you are on a strict budget or you want to treat yourself to some indulgent pampering we know the right places to book. 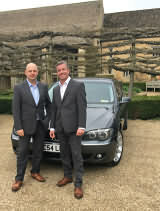 Bailey Cars will source the best prices for you from some of the best value and more exclusive hotels in the Cotswolds. We can book anything from a good budget bed and breakfast to a 5 star luxury Spa hotels in the area. We have extensive knowledge of local pubs and restaurants. At Undiscovered Cotswolds we get off the beaten track so that you get to experience places that only the locals know about. We can also take you to a traditional Cotswolds farm so you can finish off your day getting to meet some of the friendly local animals. Or how about a glass of prosecco whilst raising a toast next to the bubbling brook at the ruins of an ancient manor house, just as the sun goes down? I’ve visited more than forty countries across America, Africa, Asia, Australia, the Middle East and Europe, and still have many more on my list to see. Travelling has always been a passion, but it really kick-started with my 20,000km charity bike ride from London in England to Cape Town in South Africa in 2010. The journey was the best experience of my life. I wanted to experience different methods of travelling, so during those four and a half years I cycled, rowed, walked, hitch hiked, motor cycled, used public transport and rode horses. From a very young age my parents instilled into me the importance of travel. They would always say ‘travel broadens the mind.’ Decades later I found that to be a massive understatement. I started off travelling most of Europe and parts of the US up until the age of around 21. Then I took a leap into the dark and moved to Hong Kong for five years to work. This gave me the chance to see and experience how different cultures live, work and have fun. From here I spent months travelling around the Far East of Asia and Australia, as well as parts of Northern Africa, Europe and the US. During this time I saw many incredible things and met such wonderful people that travel became even more important to me. Come with me on a journey of discovery through the area I grew up in and know so well. Travel in the comfort of my air-conditioned 'people-carrier' and get good views over the hedges and walls, not to mention the other cars on the road! I carry a maximum of six people, so you can be assured of plenty of personal attention. Choose a fixed tour at a fixed price, or let me work one out for you to include all the places you would like to see (within reason), where I charge an hourly rate - contact me for a quote. Or maybe you haven't got a whole day but would still like to see something. No problem - I can work out a shorter tour. 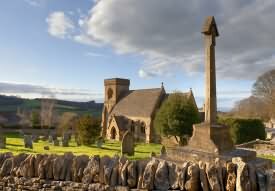 My fixed tours have been worked out to include a bit of everything, so you will see the loveliest villages and plenty of gorgeous scenery; green fields crisscrossed with dry stone walls, clear trout streams, wooded valleys and so much more. And then there are the superb views from the Cotswold Edge, among the best in England. Because I know the area so well I can take you along all the little back roads that lead to the less well known and often more beautiful small villages. It is in these peaceful places that the true essence of the Cotswolds lies. My tours are relaxed, with plenty of time to see everything. I will stop at your request whenever possible so that you can take photographs; believe me, I know how frustrating it can be to see that perfect picture flashing by the car window! 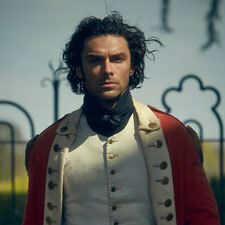 Also, I will not herd you around like cattle and give you no time to enjoy yourselves, and if the weather is bad, I can vary the tours - there's no point going to a great view point if the hills are covered in mist! See our Facebook Page at - www.facebook.com/tourgems. See reviews of our service on - tripadvisor. The day is yours to enjoy - after all, it's your holiday. So why not give me a try? Hello my name is Polly. My fantastic team and I run a day tour of picturesque hidden Cotswold villages. Whether you’re looking for a great day trip from London, are staying here on holiday or are a local who wants to explore more of the area, our Cotswolds Mystery Tour will exceed your expectations. Having lived in the Cotswolds all my life I’m passionate about showing people around this area of outstanding natural beauty. I know that tourists love to be treated like a local and are curious about how the English conduct their daily lives which is why I created this incredibly special Cotswolds Mystery Tour. You won’t miss anything in this unspoilt part of England because we’re here to take you on a unique and memorable day through charming little villages that are unknown to most tourists, because they are completely off the beaten track. Each tour is unique because of the different seasons and is guaranteed to please you. Who knows what you will experience? We drive through private estates, where you’ll see glorious parkland and the most magnificent houses. So on the day of your tour, you may take a private detour that is inaccessible to the public or hold the key to a very special 13th century building. It’s all part of the mystery you’ll never forget. During your tour of the Cotswolds, we’ll make sure that you don’t go hungry! We’ve selected two places in the North Cotswolds for you to eat and drink at. You’ll enjoy morning tea or coffee and pastries at a village cafe. At 1:30pm we’ll stop at an historical 16th century pub for a lunch costing £7. In the afternoon you’ll have time for some souvenir shopping in a famous town. 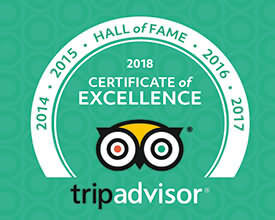 Please note: Unlike our sister company Secret Cottage Tour the price of the Cotswolds Mystery Tour does NOT INCLUDE food and drink; neither do we visit Secret Cottage during the day. The tour route is completely different. 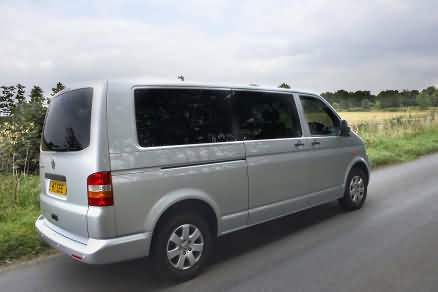 We operate with a seven seater Mercedes minibus. This means you’ll see so much of this unspoiled historic area without feeling rushed and it makes the ideal day out for solo travellers, couples or small groups. We know the best places to stop so you can take those all-important memorable photographs – without tourists in the background! Even if just one seat is booked we still run the tour on that day. 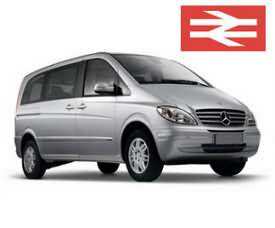 The pickup point is the ticket office of Moreton-in-Marsh railway station – we do not pick up or drop off anywhere else. Many arrive by train from Oxford or London-Paddington in time for the tour which starts at 10.00 and ends at 16.20.
quintessential English countryside that is the Cotswolds. Gain an insight into everyday Cotswold Life. will be at your speed.